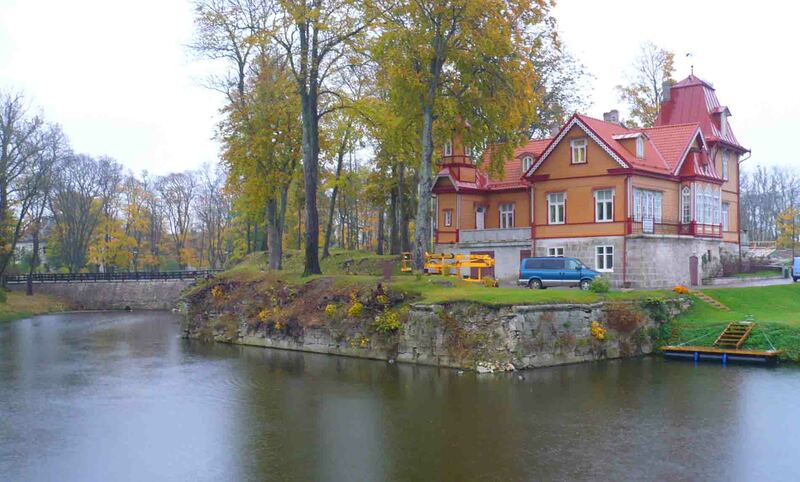 It was TEN whole years ago now that I visited the Baltics. 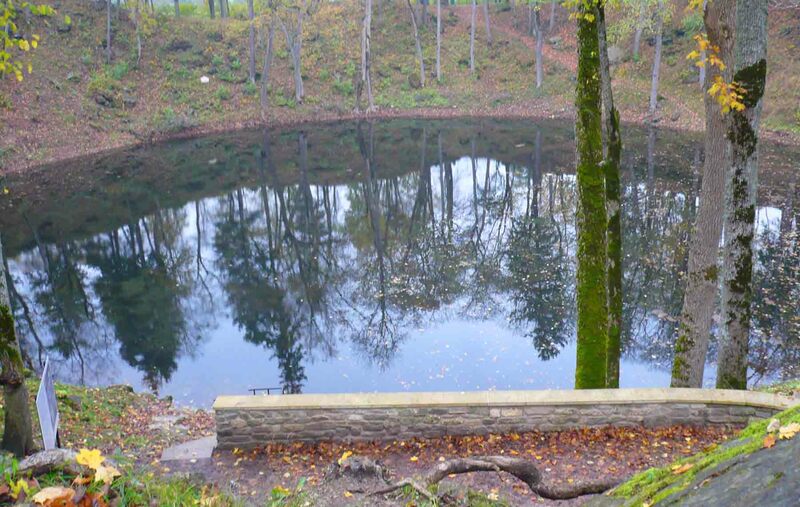 And I realise, like Slovenia, I have written precious little about them on this version of the blog. What can I tell you? I really liked all three countries. They were cold. Especially Estonia. 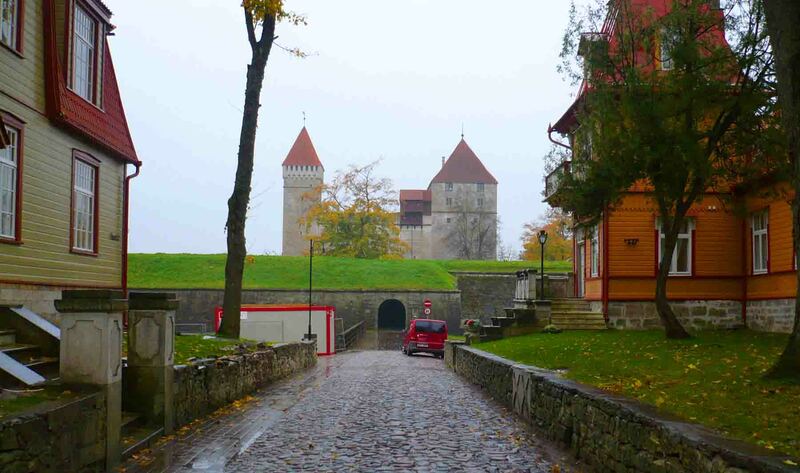 But it was October and Estonia is the northern most of the three countries. 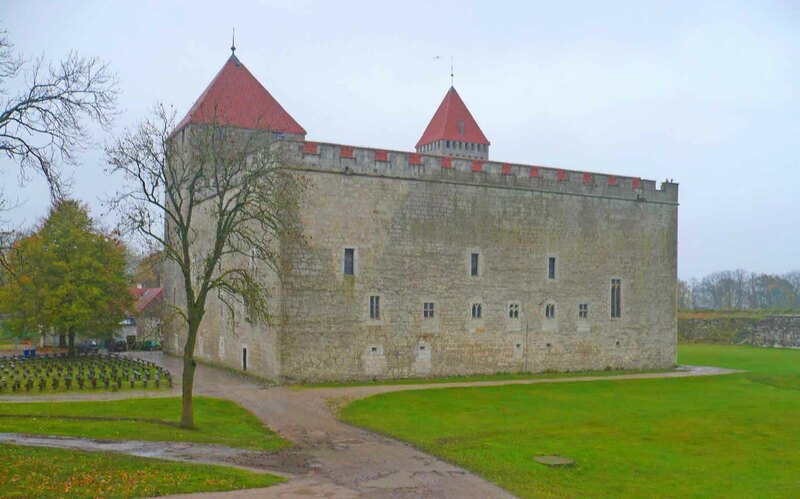 When I was there, I decided to go to Tallinn the capital, and also I decided to visit the island of Saaremaa. Yes, it has a lot of double letters, but it was an interesting, quiet sort of place. I can’t remember how I found the place I stayed – an apartment rental, but I think it was in the Lonely Planet. It was a great little apartment with a large woodfire heater. The owner would come over each evening and load it up with wood which really got the place warm. I think it heated the water also. 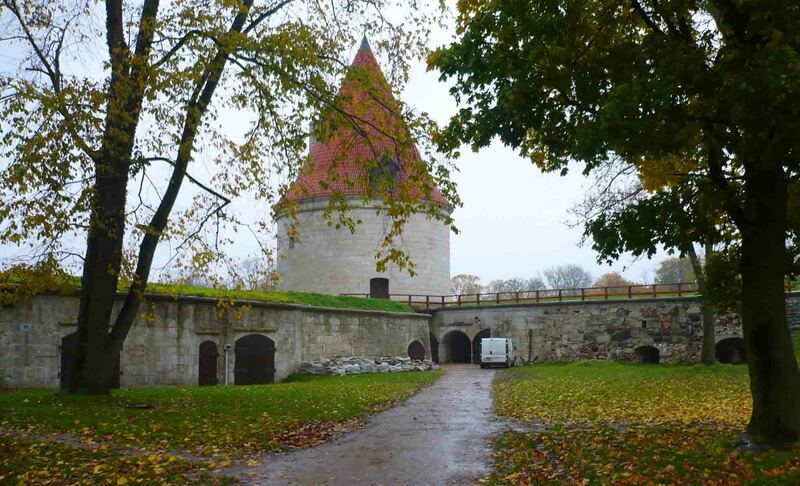 Road to the Kuressaare Castle. I stayed in the main (still quite small) town of Kuresaare. It was a nice place to stay in the south of the island. It was a bus ride from the mainland, on a ferry and then down to the south of the island. It had an interesting castle just across a bridge. 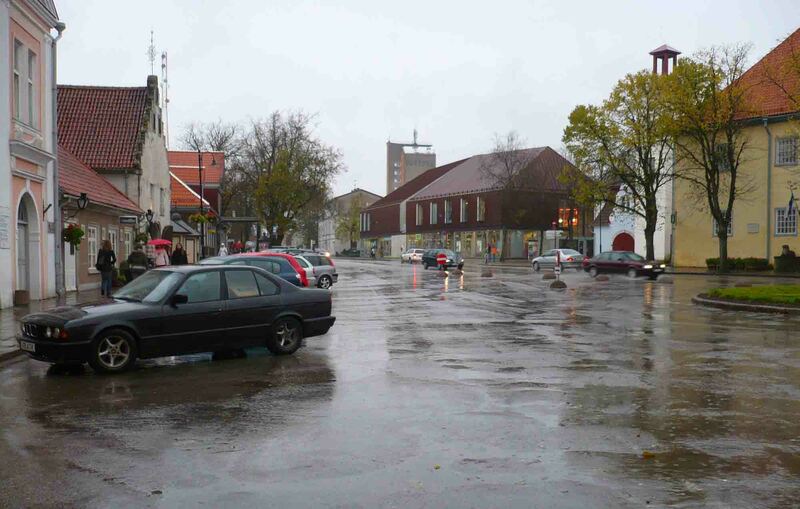 A wet, soggy day in Kuressaare. Inside the castle was a very interesting museum. It told the story of occupation of the area in World War Two, from Soviet hands to German hands, and then back to Soviet hands. I was surprised initially to find that the Germans had been welcomed as liberators. A little thought though was all it took to understand. The Baltics were never happy with Soviet rule and times. The real reason I went to this island was I written a little story I was filming, based across several countries. 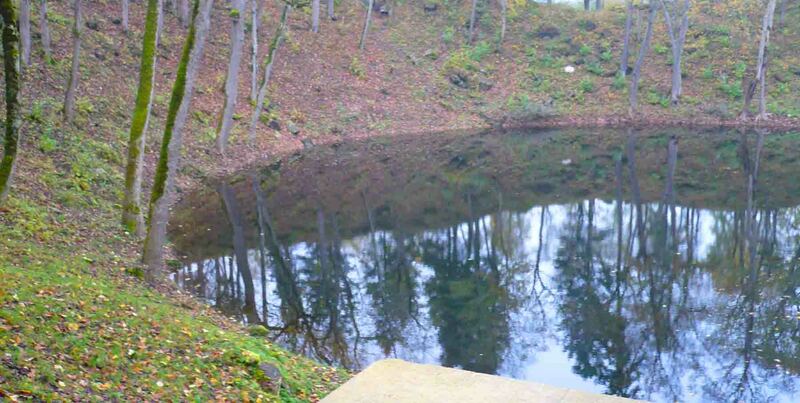 There was a large meteor crater on the island, and I had set a scene or two there. It wasn’t too hard to reach – by local bus, but the buses weren’t too frequent. 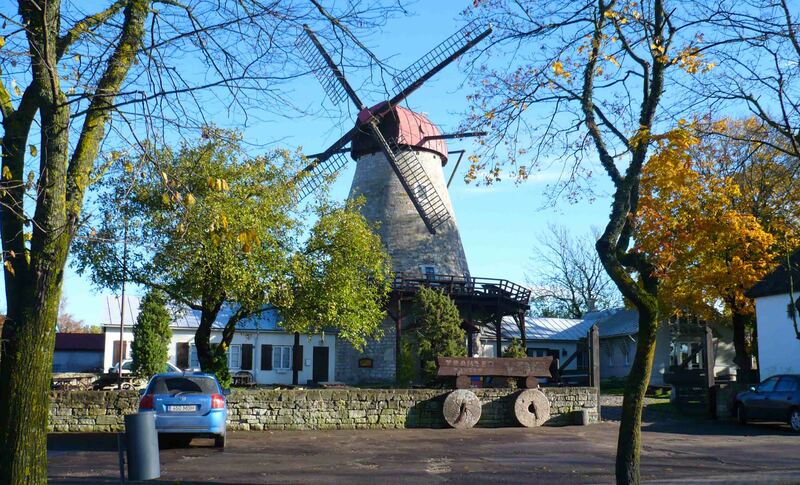 A windmill on the morning I left Kuressaare. It remained cold and rainy the whole day. In fact, I was there three nights and two and a half days, and I think it only stopped raining the next morning when I was leaving! But the rain on the day I went to the crater was at least very light. The area was nice for walking, and I would have loved to if it hadn’t been raining. The crater was kind of in the middle of farmland, but it was easy to reach and I was the only one there the whole time so I had it to myself. Trying to get back I had to wait nearly two hours for the bus. I’m not sure why but clearly I hadn’t read the time table properly, and was starting to really freeze out there when finally, a bus pulled up and whisked me back to Kuresaare. 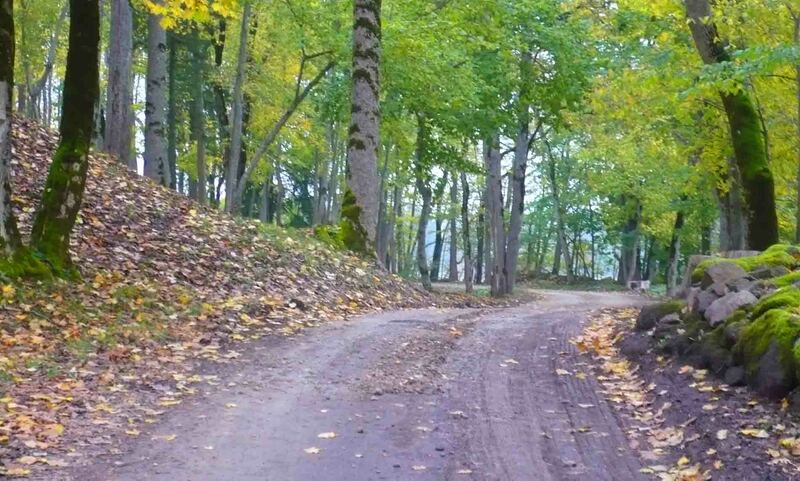 It was a while ago and memories have faded, but it was a quiet little cold, wet getaway. This sounds like a bad thing, right? But actually, I rather liked it! Have you ever gone somewhere remote on your own, and enjoyed the isolation? Thanks for reading – May the Journey Never End! Next Rob Lloyd – Travel 2017 and his new Fringe Show! true! yeah how come no one builds moats these days?? thanks for reading!